Sunday March 11th, 4 to 6 pm NZ time. In his 2018 message, my guide MURAM pointed out the significance of letting go throughout this year. Letting go of old patterns, mindsets, believes, behaviours and circumstances which don’t serve us anymore. I decided now to offer this Seminar to support people in this process towards more freedom and feeling liberated. Before we meet over Skype on the day, reflect about what you really want to let go of. Then in the Seminar you will ask Muram if this is the most significant letting go for you or if there is possibly something even deeper and more important. He also will give advice on what steps to take so that your letting go can fully take place. I also would like to stress that the experience in a group environment has the great advantage to learn from each other. Just email me your interest by using this link and please make sure that you include your Skype contact. You will receive my PayPal link and once your payment has arrived, your participation is confirmed. The Seminar is limited to 15 participants. I am looking forward to supporting you in your Letting Go process! She will also be your excellent Japanese interpreter if required. Available Saturday 20. - Monday 22. - Tuesday 23. - Wednesday 24. Receive clarity and direction in the Reading with Chris-Tian RA's Guide MURAM. Experience the deep Healing effect in a Spiral Healing session. Many people like to take the opportunity to have the combined session. Muram’s insights and following Spiral Healing are the perfect combination. Fees: 1 hour Reading $150 (with interpretation $200) - 1 hour Spiral Healing $150 (with interpretation $200) - Reading/Healing combined $280 (with interpretation $360). To master the Male-Female duality within is a challenge for everyone on this planet. We as the infinite Soul are not bound to gender, but in order to experience ones True Self (Soul) in this dimension a healthy, nurturing relationship between both aspects is fundamental. We will work in this Seminar to find out and heal possible blockages, enabling you to experience a deep sense of wholeness and completion. Special Meditations, Insights from MURAM (Chris-Tian RA's Guide) and Spiral Energy Healing are the tools we use towards Perfect Balance. 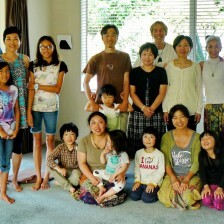 April 2016 - Free Remote Group Healing session for people living in Kyushu. I have been very shocked by the recent events, and I know from own experience what people are going through right now. In 2011 I have been in both major earthquakes in Christchurch. It took me several month to release the trauma completely. The trauma after an event like this, if not treated, can become a major disturbance in ones life, physically, emotionally and mentally. In order to help people in Kyushu to release the trauma I offer the Free Remote Group Healing on Saturday 30. April at 10 am Japan time. The session will be for one hour, if possible just see that you can be in a quiet and relaxed state while receiving the Healing. 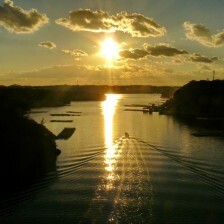 Everyone on Kyushu who wants to join is welcome, there is no limit. People who want to participate just need to email me a photo with their full name, that's all what's necessary. Participating in this lightful event will strengthen your Soul Awareness, allowing you to let go of old restrictions and limiting beliefs. THE MEDITATIONS we use were given to me by Spirit and are a wonderful tool to reconnect with the ever existing Soul that you are (see the 'Book page' and 'About the Masters of the Pyramids'). In the following Group Healing you will receive SPIRAL ENERGY HEALING, a deep acting intuitive Energy work on the higher and lower bodies with the aim of recognising and resolving energy blocks. The self-healing energies will be activated and your overall life-flow increases. Fees: 1 hour Reading $140 (with interpretation $190) - 1 hour Spiral Healing $140 (with interpretation $190) - Reading/Healing combined $260 (with interpretation $340). Receive clarity and direction in the Reading with my Guide MURAM. Many people like to take the opportunity to have the combined session. Muram’s insights and following Spiral Healing are the perfect combination... (see page Channeled Readings & Spiral Healing). To participate call 04 478 2090 or email me through the contact link. If you are based in the Wellington area or around by 'chance' you can experience this powerful and uplifting Healing. I will then convey to the Group and also to each participant individually. Expect an transformative and exciting afternoon! I am looking forward to meeting you on the day! This wonderful, enlightening process can transform your life forever. Join me to re-discover your True Self, the ever existing Soul that you are and learn how to take care of your spiritual truth so it can shine into the world! Find out more by clicking the Workshop page. For more Info and Bookings call 04-526 2167 or email by using the contact link. Looking forward to meeting you on the day. A new opportunity for you to receive Spiral Healing in a Group session. I offer a 45 min. Remote Group Healing. The session allows for 9 people to join. This is also a chance to receive the Healing together with friends and/or family members! - Send me a good quality photo of yours by email. - During the session make sure that you just can relax and receive. After the session at noon (NZ time) we will meet on Skype so you can share your experience and receive further guidance from me. And of course you will also learn from the sharing of the other group members. - The total fee per person will be NZD 80, AUD 80, USD 70 or Euro 60 only. Just click on the contact link letting me know that you wish to participate and also your Skype contact. Meet Chris-Tian RA in Brisbane on his second visit to Queensland, 15. - 30. May 2013. Receive Clarity and Direction in a Channeled Reading with his Spirit Guide Muram. Experience the gentle, powerful and effective Healing vibration in a Spiral Healing session. Learn, grow and be inspired in the One Day Workshop. Muram’s Awareness is life changing. His messages can bring deep insight and clarity to your life in those areas that are important for you. He can see the root cause of any particular problem and advises practical tools to resolve it. Chris-Tian RA developed this unique and very effective Healing over the course of many years, a deep acting intuitive Energy work. Chris-Tian RA will tune into the unique being that you are and will give you the Healing Energies you need at present. - Find out how to prepare and receive maximum benefits from your own Private Reading with Chris-Tian and his Guide in Spirit, Muram. - Find out what a Spiral Healing session is, the benefits to you and how it works. - Hear more about the one day Workshop 'Awaken To Your True Self' - Journey Into The Soul. - Get to meet and chat with Chris-Tian and Natasha personally. - PLUS, on the night, Chris-Tian will be offering one of the unique meditation experiences, given to him by Spirit, the 'Masters of the Pyramids'. Wednesday 15. May 6pm - 8pm, Admission by Donation. Venue at 30 Luxworth St. Mooroka/Brisbane. Be invited to experience empowerment and the freedom to choose the life you truly want to live! This event is limited to 12 participants only... be quick to make your booking!